Some time after donning a dress which matched the periwinkle colour of her eyes and topping it with matching pelisse suitable for calling at Aldridge House, Lady Elizabeth Upton found herself knocking upon the door of the Duke of Aldridge's fine house on Berkeley Square. She wondered how many times Charles had passed through this door during his two and thirty years. Since she had only come out three years previously, she had never had the opportunity to pay a call upon the duke, owing to his long absence from England. The white-haired butler who answered her knock looked as if he'd been in the employ of the Aldridges for at least two generations. He quickly offered her a tight smile and spoke before she had the chance to offer her card. "Please come in. His grace awaits. If you will just follow me up the stairs." She supposed with this being the duke's first day back, he was entertaining callers in the drawing room. She had not considered that she would not have him all to herself. It would be difficult to beg him for the significant donation in a room full of people. Her brother had once said the duke did not like to have his charities acknowledged, preferring anonymity. Her gaze lifted to the massive chandelier that glistened above, then she began to follow the stooped-over butler as he mounted the stairs, his movements slowed by age. All the way up the impressive, iron banistered staircase portraits of long-dead Aldridges stood almost one on top of the other and seemed to be staring at her. To her surprise, when they reached the first floor he did not stop but continued mounting stairs to the next level. Though her experience with ducal residences was limited, she was unaccustomed to finding a drawing room so far removed from the home's entrance. In most of the houses with which she was familiar, the third level was reserved for bedchambers. They reached the third level. It was slightly less formal than the second level, actually looking remarkably like the third--bedchamber--level at Haverstock House. The butler turned to the right and shuffled along another corridor until he reached the first paneled and gilded door. It was closed. He teetered to a stop and turned to face her with a somber countenance. "You will find his grace in here." Then he began to retrace his steps. She drew in a breath, reached for the door handle, and opened it. She heard a splashing sound before the door was fully open. How peculiar. When she had clear view of the room, she gasped. There in its center, framed by the fireplace behind him, the Duke of Aldridge was emerging from his bath. His long, glistening, gloriously formed body was completely naked. In her entire life Lady Elizabeth Upton had never seen a naked man in the flesh. Though her first instinct should have been to run screaming from the chamber, she was frozen to the spot, unable to remove her gaze from . . . the manly part. And so much more. From his wide shoulders along his burnished skin and muscled limbs, the dark-haired duke exuded a masculinity like nothing she had ever seen. A flood of memories of her former adoration of this man many years ago walloped her. She felt the heat climbing into her cheeks and knew she should flee from the profligate duke. Yet, like a compulsion to watch a grim sight not suitable for female sensibilities, she was incapable of turning away. "You're not Belle!" he said, snatching his toweling and covering the lower portion of his statue-worthy body. His voice held a note of incredulity. No doubt, Belle was a lady of the demimonde. What a wicked man he was! To think, his first day back in the kingdom he chose to spend with a woman of that sort. At the sound of his voice, she realized how shameless she must appear. And how very improper it was for her to be there. She came to her senses, let out a full-fledged scream, turned on her heel, and fled down the stairs. And came face to face with her brother. His brows lowered with concern. "What's the matter, Lizzie?" She tossed her head back in the direction of the duke's private chamber. "That man! He's thoroughly debauched." Then she scurried down the stairs. Never again would she come to this . . . this temple of profligacy. Aldridge was having the devil of a time trying to remember where he had seen that chit before. No doubt, she was a lady of Quality. He'd likely scared the poor thing senseless. There had obviously been a serious misunderstanding. As soon as he called for Lawford, Haverstock came striding into Aldridge's bedchamber. When he saw that Aldridge was without clothing, his facial expressions thundered. "What in the hell were you doing with my sister?" Oh, damn! That's why she looked familiar! The duke grimaced. "It's not what you think." Haverstock's gaze raked over him from the top of his wet head down the full length of his nakedness. "Oh, isn't it? My god, Aldridge, she's an innocent! How could you?" By then Aldridge's valet had come striding in with fresh clothing for his master, and Aldridge began to dress. "It seems I owe her an apology. I assure you I have no dishonorable designs on your sister." Haverstock regarded him thoughtfully for a long, silent moment. "Then are you saying your intentions toward Elizabeth are honorable?" "But of course. What do you take me for?" "It appears I shall now take you for my brother-in-law." Duchess by Mistake is the first book by Cheryl Bolen that I have read and I am happy to be introduced to her books. This book is the second book in the House of Haverstock series. I haven't read the first book, Lady by Chance but still I didn't feel as if I had missed anything when I picked this second book to read. I loved the cover, especially the red gown and the blurb too had me sitting up and taking notice. These two initial things made me request this book to review and I am so happy that I did. The plot is well conceived and executed. The settings are admirably brought alive in the book and I could visualize the magnificence of the Duke's houses and the elegance of the ladies' gowns. The characters are likable people who are realistically sketched in all their not-so-perfect glory and made me imagine them successfully in my mind. The author's writing style is simple and engrossing. 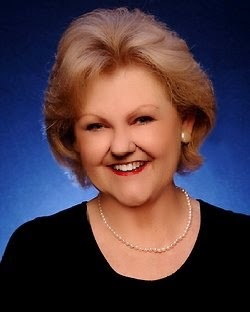 She describes the dilemmas and emotions of the characters through engaging dialogues. I connected with Elizabeth and her trials and tribulations. I loved Anna, Clair, Lydia, Haverstock, Aldridge and almost all the characters in the book and would love to meet them again in the author's other books in this series. I read this book in one sitting and enjoyed my travel to the regency era immensely. The only place where I think some improvement could be done was the ending. The end trial with the Contessa looked hurriedly wrapped. The solution came out of nowhere and had me questioning that if the hero already knew of this way to solve the problem then why did he go along for so long? You will understand what I am talking about when you read the book. Anyhow, this is nothing major and doesn't daunt the overall enjoyment of the book. 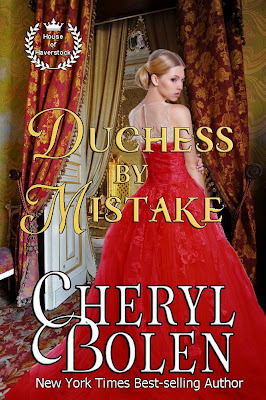 After spending an enjoyable afternoon with Duchess by Mistake, I give it 4 out of 5 and recommend it all lovers of historical romance. I liked Cheryl's writing style and hope to read more from her in the future and wish her luck.